On behalf of the faculty and administration of Washington School, Mr. Mercurio would like to welcome you to our School! We have been extremely busy planning for a wonderful fifth-grade experience for your child. Click on the title to find out more about important dates! On behalf of the faculty and administration of Washington School, I would like to welcome you to our School! It is with great enthusiasm that I write as we embark on this journey together. I am confident that the Washington School staff, curriculum and programs will provide your child with many opportunities to grow in every way. We have been extremely busy planning for a wonderful fifth grade experience for your child. Washington School Child Study Team “Meet and Greet” - Parents of children with IEPs are welcome to attend, February 11, 2019, 9:00AM in the Washington School Media Den. 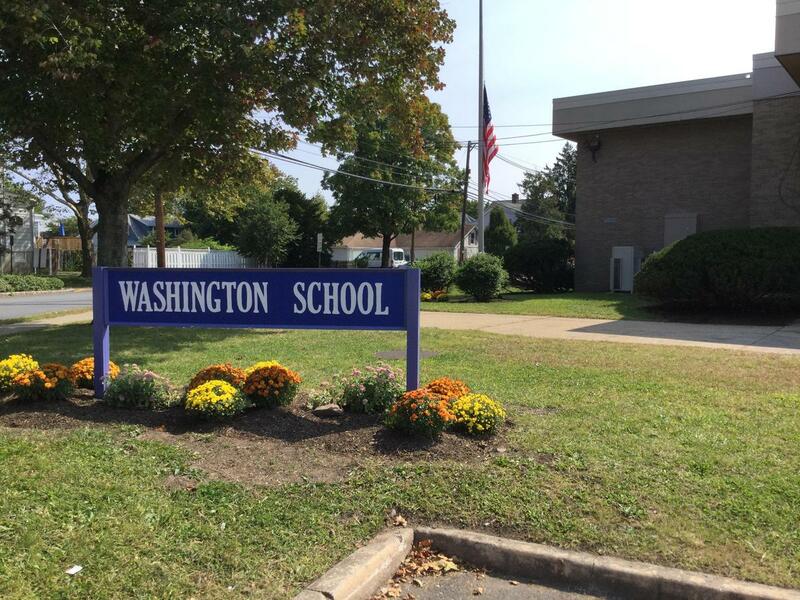 Washington School will host an orientation for fourth grade parents at Washington School on Tuesday, March 12, 2019. You are cordially invited to attend at 6:30pm. Each fourth grade class will have an opportunity to visit Washington School for a fifth grade orientation. Students will be bussed over and spend the morning meeting some of our staff, touring the building with our peer leaders, and getting acquainted with procedures for entering school in the Fall. We will have an additional opportunity to welcome all of our 5th graders during our Summer Open House on August 28th and 29th from 2:30 to 3:30. There is no formal program. We welcome you to come in to walk the halls, find your classroom and become familiar with our school. Over the next couple of months, we will be working with the K-4 Elementary Schools to gather all student information which will assist us with placing students into classes. We have scheduled meetings with each school to review programs, accommodations and needs of all of our students. Parents that wish to provide us with information about their child can fill out the form, Washington School Student Placement Profile Form, which can also be found on our Washington School website. Please remember that Washington School will not accept any teacher requests or requests for students to be in the same class as their friends. Parents of older children who have attended Washington School may submit a request that their son/daughter NOT be placed with a specific teacher who provided instruction for an older sibling. This should be noted on the Washington School Placement Profile Form. I look forward to welcoming you in person to the Washington School.